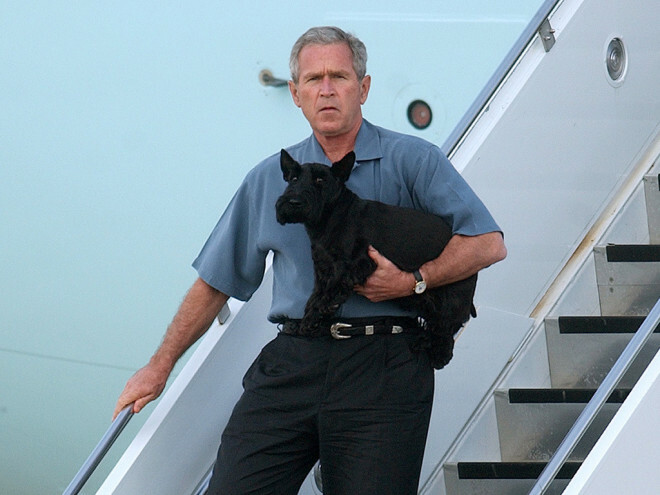 Full-time oxygen thief George W. Bush has joked that the war in Iraq was “stupid now I think about it”. The retired two-term president spoke from his ranch in Texas this week, as violence continues to intensify in Iraq, with ISIS forces slaughtering hundreds of innocent Iraqi’s in cold blood. He mused that “it turns out Saddam wasn’t all bad. This new lot seem way worse”, before pausing to shoot a cow from close range. This news comes as the US begins air strikes in an attempt to extinguish the ISIS terrorist threat. One US pilot spoke to Newspoof (after completing an excellent rendition of ‘You’ve lost that loving feeling’ by the Righteous Brothers) saying that a lot of the ISIS targets are in urban areas and there’d likely be significant civilian casualties, but added he’d “give it a bash anyway”.